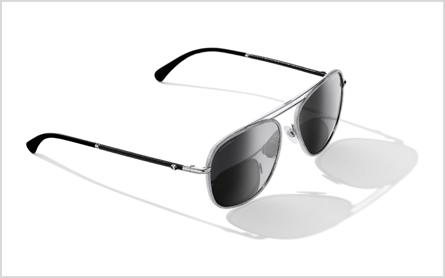 Already a world-renowned household name, CHANEL eyewear took the eyewear industry by storm by producing pieces that were rigorously tested and detailed to perfection. With iconic sentiments from Gabrielle Chanel herself including bows, pearls, tweed and chains, CHANEL eyewear is a must-have for every individual. CHANEL eyewear is a highly sought-after luxury French brand which adds a touch of glamour, class and elegance to every look and outfit. This flawless, expressive and modern brand allows the individual to find a unique style and completes any look whilst deemed a must-have fashion accessory. Celebrities and fashion industry icons have celebrated the CHANEL eyewear brand, with many of them having a whole collection of frames in their wardrobes. Founded by COCO CHANEL in 1910, this brand has evolved to become one of the greatest in the world whilst remaining classical and elegant. 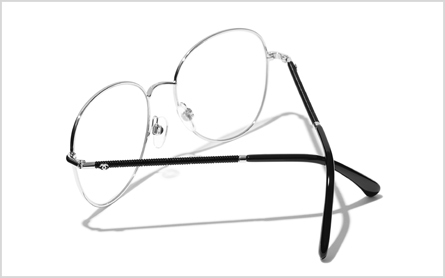 CHANEL eyewear's prominent designs are practical yet stylish and it remains a high-end designer brand that continues to launch new trends and take a daring approach to the nature of the eyewear industry creating timeless and inventive frames.